In stock. Order in the next 9 hours, 32 minutes and it will go out today! 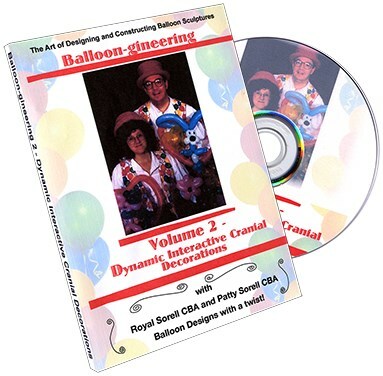 Volume 2 explores hat designs in single, double, triple, and multiple balloon variations. Hat base designs will be shown, from which you can then build or design a multitude of head decorations, masks, and costumery.